I love ice cream and never need an excuse to eat it. But, when there are added health benefits, it becomes that much easier to justify. That is why the Little Damage Charcoal Ice Cream is the Please The Palate pick of the week. 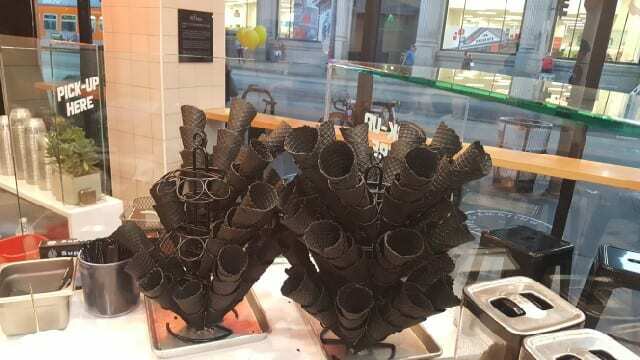 Little Damage Ice Cream Shop is a family-owned shop in downtown Los Angeles that makes local, fresh, organic soft serve ice cream. 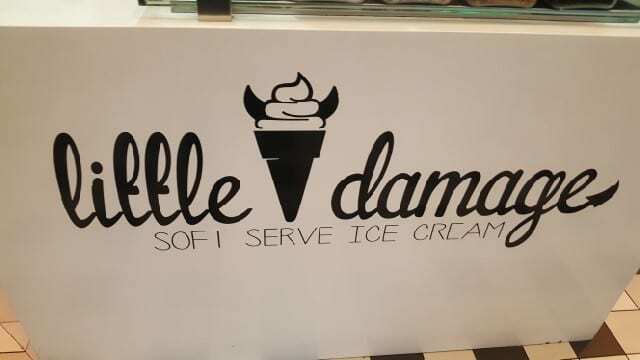 The ice cream is made daily in small batches and there are four flavors offered at a time. What makes Little Damage unique are the colors and flavors, including the turquoise blue “Unicorn Tears” and the black “Almond Charcoal”, “Black Roses”, “Black Thai Tea” and “Upside Down” flavors. 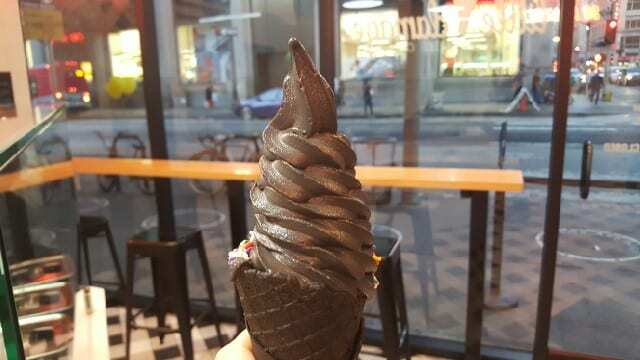 The black ice creams get their color from activated charcoal and the signature hand-rolled black cones are also naturally colored with activated charcoal. Activated charcoal is a fine black powder made from bone char, coconut shells, peat, petroleum coke, coal, olive pits or sawdust and it has a variety of proposed benefits, ranging from lowering cholesterol to whitening teeth and curing hangovers. So, while the soft serve ice cream is creamy and tasty, and not too sweet, the fact that it has health benefits makes it all the more enjoyable and that is why it is the Please The Palate pick of the week.